Update 05/31/2010: Work has resumed, the book is about 75% written and 1/3 edited. Hank Skinner is waiting for the Supreme Court to hear his writ sometime this fall. 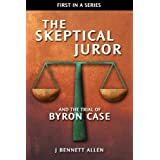 End of April has passed, but we'll be publishers of more than two books by the end of the year. We promise! Details regarding our effort with respect to this case will be available soon. 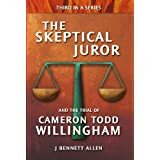 We can tell you this at the moment: the book is approximately 50% complete. Work has been put on hold as we join the effort to stop the execution of Hank Skinner. 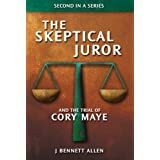 We hope to have the The Skeptical Juror and the Trial of Cory Maye on Amazon by the end of April. Relative to the information publicly available, there are surprises to come. Stay tuned.